The UK housing market took a slight pause for breath in the first quarter of 2015, probably in anticipation of the general election tabled for early May. Contrary political manifestos relating to property and home ownership gave potential buyers – and sellers – cause to keep their hands in their pockets, together with their money. Labour’s proposed ‘mansion tax’ on properties valued in excess of £2 million depressed the London market in particular (where most of such properties are located), with March seeing a very modest average price rise of just 0.2 %. However, the region still managed to show an annual average price rise of 11.3%. The average London house price now stands at £462,799. At the same time, the Office for National Statistics (ONS) reported that average UK house prices increased by 7.2% in the year to February 2015, which was a decline of 1.2% from the previous month’s figures. Here in the UK there still remain very large regional variations in the marketplace, with London, as ever, recording annual price gains of 11.3%, whilst the North East was reported as being the only region to register an annual fall in prices of 2.9%. Meanwhile, in the South East, average property prices rose by 0.8% in March to record the best performance of any region in the month and to see an annual average increase in price of 10.1%. 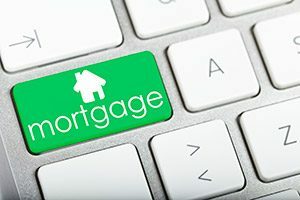 Mortgage availability nationally also remained dampened, with the ongoing lending restrictions associated with the Bank of England’s Mortgage Market Review (MMR) seeing fewer mortgages being approved. The latest figures from the Council of Mortgage Lenders (CML) showed that £14.3 billion was made available to home buyers in January, but this figure dropped to £13.4 billion in February, only to recover to £16.5 billion in March. The Buy-to-let market continued to expand with 15,900 mortgages made in February. This was an increase of 11% on the same month last year and represented £2.2 billion in value. Meanwhile, reinforcing the trend set in the last quarter of 2014, the number of first-time buyers continued to grow. February alone saw 18,700 loans made to this group, valued at £2.7 billion. However, at an average price paid of £205,000, these same buyers saw price increases of 7.4%, compared with the same period last year. Existing home owners moving to new premises saw an average price increase of 7.2%, down from the 7.8% seen a year earlier and they paid an average price of £312,000. Given that the Conservative party victory in the general election has taken the uncertainty of future government housing policies out of the equation, the market should see a more stable future in the short-term.